Goodbye, chocolate Santas. Au revoir, flutes of bubbly. 2016 has arrived and with it promises of once again fitting into belted pants and skinny jeans. To help you ditch those leggings and reach your goals, here are some local workouts to try no matter what your skill level. 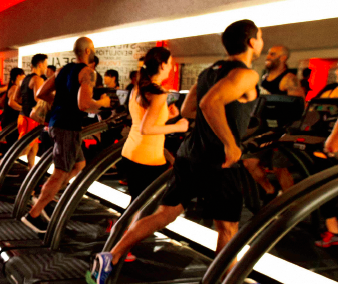 If you are really looking to get your heart rate up, head to Shred415 in Hinsdale. If long and lean is what you seek, then perhaps the New Year has a barre or Pilates class in store for you. Owens says. The Dailey Method offers childcare, a free week of classes to new clients, as well as a $100 unlimited month to new clients. Demi-Bar Pilates is a signature class at Hinsdale fitness studio Energie, Inc. It uses muscle-sculpting ballet moves in combination with Pilates to offer clients a high-toning class with restorative and stabilizing components. Energie, Inc. is housed inside Energie Pilates Fitness Spa offering a fitness studio in a spa environment. The studio is currently offering a $99 month membership for new clients, as well as a free class. “Our clients love the atmosphere of the studio. We have several different options for fitness, so you will never get bored,” says Jenifer Zeno, co-owner of Energie, Inc.
416 East Ogden Avenue, Westmont 708-601-8233 • ie-fitness.com i.e. Fitness in Westmont offers personal training as well as small group classes. 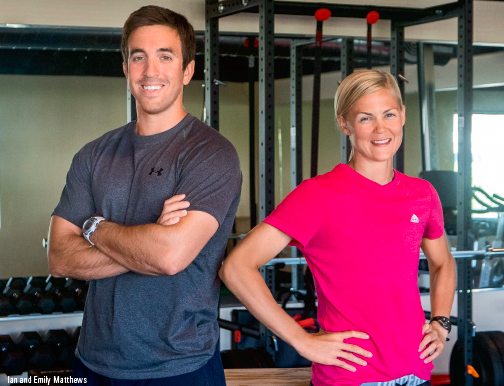 Two trainers—brother and sister team of Ian and Emily Matthews—instruct, spot, cue, and interact with the class helping clients reach their fitness goals. “We help people lose weight and gain strength while slowly ridding the body of aches and pains,” emphasized Ian. i.e. Fitness classes include high-intensity training through a mixture of strength and cardio, as well as metabolic and bodyweight exercises. New clients can take advantage of a free week of classes. System 7 Training in Hinsdale offers a “Be Transformed” group exercise class that meets twice weekly for 12 weeks. Each month offers a new focus: month one is stability and balance; month two is strength and endurance; month three focuses on strength and power. Trainer and System 7 owner, Kathleen Daubel has been working with clients for more than 25 years to help them achieve life-long health and fitness. “What our clients do when they’re not in the gym is as important as what they do when they are in the gym exercising,” Daubel says. The “Be Transformed” class costs $240 per month for eight classes or $35 per class for walk-ins. If you are someone who responds to numbers, Spark Fitness in Hinsdale uses heart rate monitors to track calories burned, as well as heart rates. The information is visible on large studio screens to help clients achieve the best level of intensity for each targeted training zone. Limited to only eight students per class, Spark methods aim to strengthen the body, flatten the core, improve posture, increase metabolism and burn fat. New clients start with a fitness evaluation to set goals and measure progress. Spark trainers then design a workout to help clients achieve optimal results. Spark president Ted Dres explains that the average results from a recent eight-week client fitness challenge included an average of 11 pounds of weight lost, as well as over 3 percent of body fat lost and almost 2 percent of muscle gained. With those kinds of results, you’ll be back in your favorite jeans in no time.